Reg. Welsh Cob sec D; 14.3hh Chestnut mare. 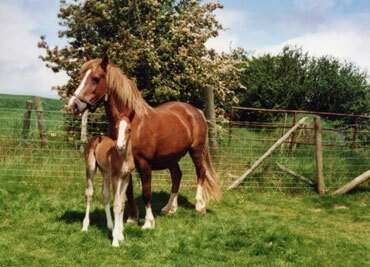 This lovely ‘old-fashioned’ cob mare has very good conformation and moves beautifully. Her pure cob youngsters have been show quality. We are now putting her to thoroughbred stallions with wonderful results.